The GRACH is a replica of a modern, mass-produced Russian pistol used by the FSB (successor to the infamous KGB). 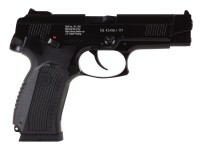 The firearm is used by the Russian Federation Armed Forces and Security Services. What better endorsement can you get? Intense realism has been sought for this CO2 copy of the firearm. And it shows! Lay this down next to the real steel, and you'll be hard-pressed to tell them apart. Pick this up, and you'll be impressed by the heft and feel of the metal body. But load it up with 18 steel BBs, and you commence shooting on your home range. Nothing special to do but enjoy the experience as you pull off shot after shot. 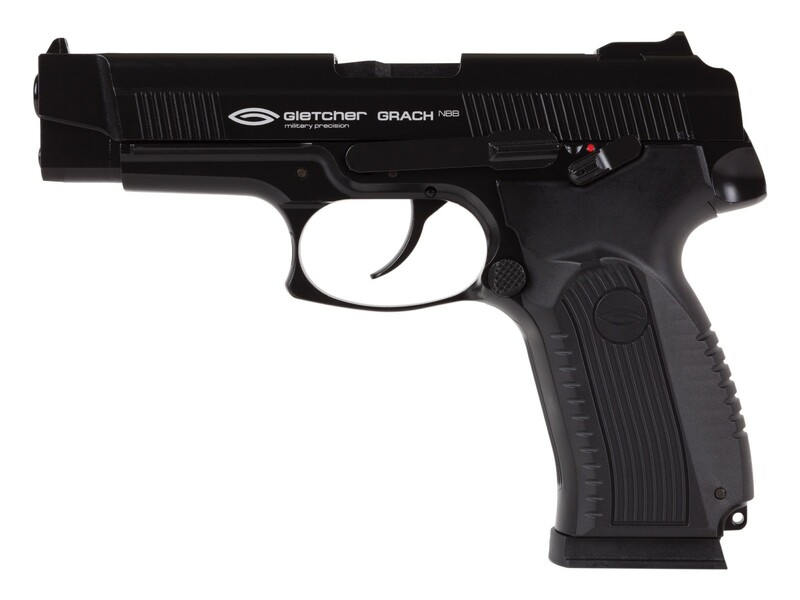 To give you the most bang for your buck, the GRACH doesn't have blowback. That conserves CO2 and gives you more shots/cartridge. Things I liked: This is a very unique replica of the Russian made Grach. 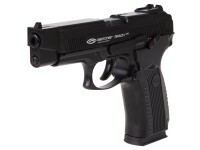 The finish is great, it has good weight, and it has a really nice trigger that is both single and double action. The gun also has very good accuracy. The slide is functional and you can field strip this model. The pistol feels really good in the hand and the 3-Dot sights are great. Things I would have changed: The gun was initially designed to be a Blow-Back, it just needs the proper magazine and a rubber recoil seal. The airsoft version is Blow-back. I wish Gletcher would explain why this model is not. Since they made this a Non-Blow Back model then I would like more FPS. This shoots in the middle 300's. What others should know: I did have issues with the magazine. The 1st one would jam and would not feed the BB's unless there was only a few rounds in the magazine. Craig at PA sent me out a replacement. Unfortunately that one immediately blew out the O-ring seal and was nonfunctional. He finally inspected one and sent me out a good working one. No issues so far and you can't get better customer service than PA. Thanks again Craig!!! The accuracy on this gun is really good. So where it lacks in power it makes up in the accuracy. 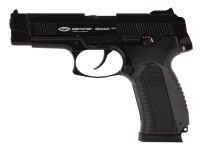 At 30 feet, this shoots some pretty good groups, which makes it a great plinker. PA has a good price on this and I think it would be great for the collection. I don't think Gletcher is making this model anymore so when it gone it is gone. Things I liked: The weight and balance of this pistol along with the acurracy shot over 300 shots good grouping. Things I would have changed: I would like to see this gun in a blowback full auto version. Things I liked: like looks that it. 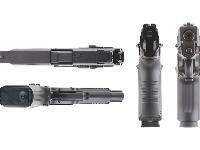 there looks like there is too types of guns in the images above one all black the other one black and gray when you buy it what one do you get???????? 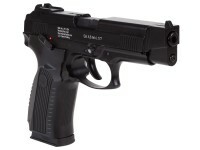 I realize it has no blowback perse but I've read the slide functions and even locks back when the mag is empty. Is this true?